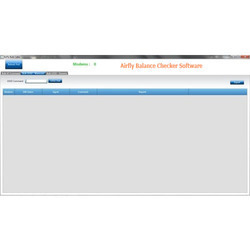 We are offering a wide range of Airfly Balance Checker Software to our patrons. These are made under the supervision of the best industry experts. Roulette Software for Web, Android & iOS. Staff location tracking Software is used to monitoring service/sales of field staff network which helps you to improve your sales goals and also schedule your Sales forecasting. 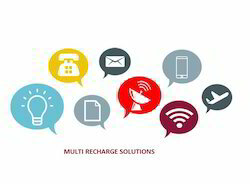 Mobile Kot Billing Software is nothing but Billing system is fully done through our software installed in your Android mobile. 2. GAV software for commodity will be upgraded if technical fisibility allows. Watching television channels on mobiles have become very common. With high data speed internet connectivity, users prefer watching their favorite TV channel programs anytime anywhere. As part of Mobile software application development, at INFOTZ, we develop apps for small low-power handheld devices such as personal digital assistants, enterprise digital assistants or mobile phones. These applications are either pre-installed on phones during manufacture, or downloaded by customers from app stores and other mobile software distribution platforms. Trackidon is available in Play Store for all Android Phones and Tabs. Add your PNRs once and we will remember it. We want to make it really easy for you. We will notify you when there is a change in the waiting list. Peace of mind for you. Get your coach/seat number once the chart is prepared. All set for your journey. Focus on Mobile based Software solutions, Dedicated team of J2ME and J2EE professionals.Design, implementation, testing, integration, maintenance and support. Microsoft, Lotus Products Multimedia, Macromedia & Others. CrimePush is an application is developed for revolutionary crime-reporting safety & security application that is designed to keep you safe, should a threat arise. This application is used to anyone in need of fast, discrete, and intelligent assistance. Alert messages are sent in stealth mode to the My Associates numbers in the event of the original SIM card being replaced with another one. In this owner can easily track the new number using Mobi Sav features.